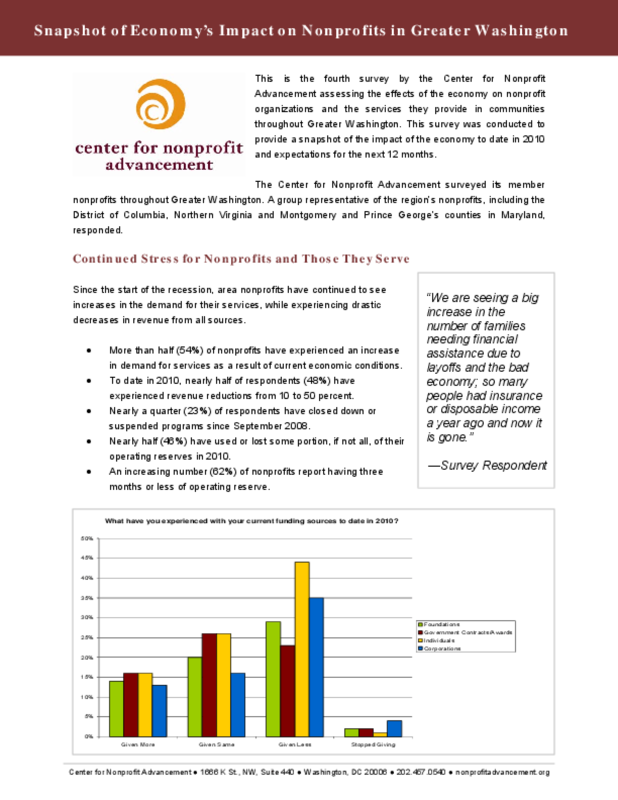 Results of a survey assessing the effects of the economy on nonprofit organizations and the services they provide in communities throughout Greater Washington. It was conducted to provide a snapshot of the impact of the economy to date in 2010 and expectations for the next 12 months. Copyright 2010 by Center for Nonprofit Advancement. All rights reserved.